In the far away future, centuries after Old-Earth has turned into a dead pile of debris in space, seven pilgrims begin their journey toward the world of Hyperion and mysterious Time Tombs it holds. Despite the looming war against the Ousters, a sect of first explorers living in deep space, far from the connected Hegemony Web, these pilgrims are travelling towards their destiny, where they may or may not be killed by the Shrike, spiked four armed guardian, and a living god like some believe, of the tombs. The story begins with the Council, who is in his solitude in an unnamed planet, sitting in his private spaceship playing his ancient piano while a storm rages outside. He is interrupted by a call of the Hegemony CEO, who informs him, that he is to partake on a pilgrimage, sanctioned by the Church of the Shrike, to Hyperion, a world he used to oversee for behest of the Hegemony. He is to leave immediately to meet the other pilgrims aboard one of the famed Templar Threeships. Aboard the ship they are to travel to Hyperion, the Council meets his fellow cohorts. These people are centuries old poet Martin Silenius, a priest of an ancient and almost dead catholic fate Lenar Hoyt, a FORCE military colonel Fedmahn Kassad, a private detective and the only willing female member of the group Brawne Lamia, the captain of the Templar ship Het Masteen and a Jewish scholar Sol Weintraub with his infant daughter Rachel, who is because of her young age not an official member of the pilgrimage. As the seven people are unfamiliar with each other, despite some of them are well known enough to be known throughout the Hegemony Web worlds, they decide to tell stories on why they were chosen to take part on this final pilgrimage. To keep things fair, they draw lots in order to see in what order the stories would be told. 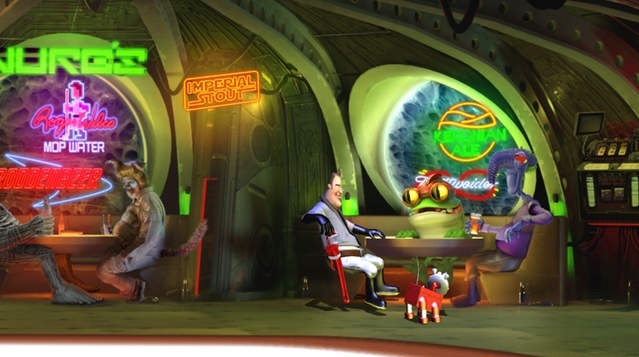 On each lunch break, they take on their perilous journey through space and lands threatened by war, they sit around and tell their stories. At first, each story might seem they have very little to do with the world of Hyperion, Time Tombs or the Shrike, but the further they go, the clearer it becomes, that the Church of the Shrike had a good motivation to choose them to take the trip. Structurally Hyperion is constructed from several stories set in the vast universe of the Hegemony Web. All these stories are tied together with the framing story of the pilgrimage this discordant crowd is on. Every story opens up a new piece on the larger construct of why they are there, what the Time Tombs and the Shrike are and what is actually going on behind the political shrowd of the world. These several stories vary in style and the way they are narrated, fitted on the personalities of the people telling them. All of the stories are deeply personal to the people telling them, but at the same time, they are heavily tied to the greater whole, which slowly becomes clearer the more you learn of the people. I do think it would be a disservice to the story itself to say anything more of the stories, as that would, I believe, rob you of the pleasure of finding out the mysteries yourself, ruining the impact of the tale. 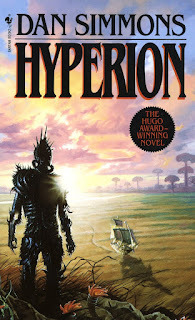 Hyperion is a masterpiece on its own right. It is well written and deeply thought out whole, that carries to the end with enviable ease. Its story flows from the first page to the last in a rare manner many writers strive for but will most likely never manage to achieve. This has been brewing for some time now. This is a write up of a Kickstarter project, undelivered to this date, in the making for a bit over 5-years now. To be more in fact, it passed its 5-year anniversary on June 12th, 2017, making the original point of being successfully funded in now so distant 2012. The project in question managed to raise $530k, that is over half a million dollars, and yet, it's not yet done. I am talking about my biggest disappointment in crowdfunding, the SpaceVenture-project by the former Space Quest-developers Mark Crowe and Scott Murphy. 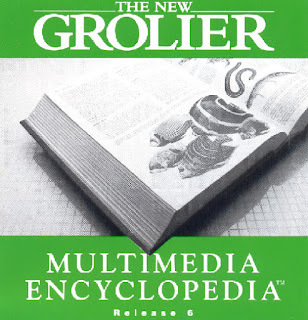 Back in the early '90s, when CD-ROM drives, which have ages ago faded away from computers from the way of DVD and Blu-ray drives, heralded an age of multimedia. This technology that had finally begun to find its way to consumer computers offered means of providing previously unparalleled amounts of data for the common computer users, especially in the contrast of ages dead format of floppy disks. While the format itself had already been introduced back in 1982, it took its time to become cheap enough to finally push itself through. 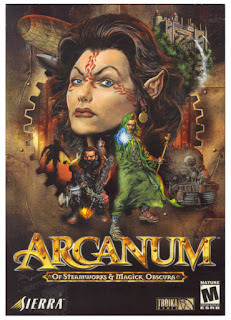 Let me tell you why I like Arcanum: of Steamworks and Magic Obscura, despite it is a deeply flawed game. This is a tale of Bimbo, a half-ogre gentleman, who because of major brain injury in the fighting pits, has an intelligence of 1 point. He woke and stood up from the wreckage of a blimp. He had no surprise in his mind, as he had no real concept of how incredibly lucky he was to be the only one who was left alive of that terrible crash. And then Virgil, a monk in brown robes, came to him and started jabbering nonsense he had no clue about. Boy, was Virgil surprised his chosen one had an IQ of a rock, but Bimbo decided not to care about being called an idiot despite he could break Virgil's skull like a grape. If only he knew what grape was.